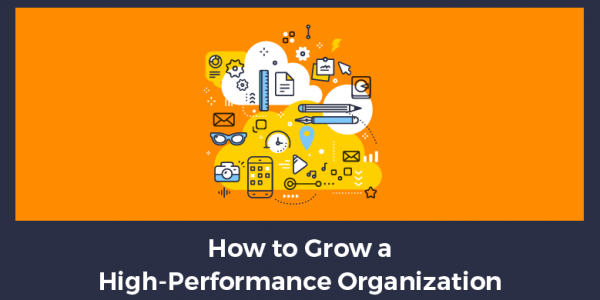 What does it take to build a high-performance organization? You know, an organization that’s filled with top earners and people who are out there crushing it. This, more than anything else, is the secret to the longevity of your business. If you want to build a sustainable six or seven-figure business, you can’t do it alone. So if you’re ready to figure out how to build a strong, dedicated team, then this topic is right for you. But first, my mentor J.T. is going to give you an example of how this worked in an iconic movie. If you’ve seen A Few Good Men, you probably remember one of the most familiar lines ever delivered by any actor in a movie. It stars Tom Cruise and Jack Nicholson and the movie is amazing, because the cast is remarkable. Some of the finest actors and actresses in the industry came together for this movie. I won’t go into the whole plot of the movie but there is a particular scene in the movie that you probably have all seen. It takes place during the trial scene. Jack Nicholson is playing the part of this Marine Corp Colonel Jessup who was the commanding officer of Guantanamo Bay, Cuba. They’re investigating the death of a marine. They’re in the courtroom and Tom Cruise is playing the attorney who is cross-examining Colonel Jessup. And what does Colonel Jessup say? And then he goes off on this big, long amazing line. Not because he kept flubbing the line. In fact, he nailed it every single time. The reason he did it 40 to 50 times was to support the other actors. When you shoot a scene like that, they have different angles and different responses, different facial reactions that each actor has to have in order to capture the mood of that moment. And as you remember, it’s an intense scene. But what’s amazing about it is that Jack Nicholson, actually delivered that line 40 to 50 times. Now, that in and of itself is not that remarkable, because actors often do this. They’ll be off camera and they’ll just simply read the line. They would just read it. But what’s interesting about this is unlike most actors, Jack Nicholson actually delivered it in character with the same intensity 40 to 50 times. But instead, he showed up every single day, even though his work was done. But he showed up 40 to 50 other times simply to help elevate the game for his fellow actors and cast members. I’ve read some of the folklore behind this scene in the movie and they said that every time he delivered it, it got better and better and better. When he did it, it raised the game of everybody including the people off the set, like the key grip and the cameraman. Everybody on set was literally dialed in. They were so intense in giving their best effort simply because they saw the example that Jack Nicholson was leading by. This is not something where you simply show up, learn a couple of tactics, flip a switch and then suddenly, you’re making six-figures. It doesn’t work that way, especially in this business model that requires we build strong teams. What’s interesting about this is that Jack Nicholson was actually nominated for, I believe, it was four Academy Awards and five Golden Globes. That line, “You can’t handle the truth,” and then the rest of the speech that came after that is listed in the American Film Institute’s top 30 movie quotes of all time. It was so awesome and so iconic that everybody else could have had those accolades, because Jack Nicholson led from the front. He showed up and gave his best stuff. Moreover, he delivered and over-delivered over, and over, and over again. In fact, you don’t want to do it on your own. You want the benefit of a strong team! How do we do something that’s almost on the level of a Jack Nicholson performance in our businesses? Whether it’s a network marketing business, whether you’re building EMP, or whether you’re building both. Maybe you’re out there building your own brand and you know you have to build and lead a team, what is it you have to do? The first thing that we must do is realize we have to be willing and committed to giving a little bit of extra effort every single time. I’ll use the workout analogy. Well, after you start to build that muscle and build that strength, if you really want to break through, maybe those 12 reps aren’t quite enough. Well, what if you gave one more? What if you were able to give two or three more reps above and beyond the one that was prescribed? Just as in physical fitness, the same thing occurs when we give a little bit of extra effort in our business. But how often do we give that little extra effort in our business? How much extra effort are you willing to put in right here, right now? What’s that one extra repetition that you might give that could make the difference not just for you in your business but for your team members? Your customers, your clients, the people that are looking at you – your audience. Maybe today is a great day for you to flip that camera on and go Facebook Live and share a little bit of wisdom, share something that you learned from this week, share something great that happened. Case in point, this week, my daughter just found out that she got elected the student body president for her middle school. It was a huge win for her because she ran last year and was beat out. She took that role and she did that little extra effort in the moment, even though she was disappointed. But she did something pretty amazing. She served for an entire year, established herself within the student body and this year, she won. My only point to this is that what is it that you can do right here right now, just one thing that would be that little extra effort? It doesn’t matter the style, or the size, or the scale, what matters is the intent behind it. I truly believe we’re all here doing something awesome. If you’re an entrepreneur, let’s face it – if you’re here in this community, you’re already next level. You’re not the typical entrepreneur that’s out there plodding along, chasing shiny objects, looking for the next easy fix. Most people that come here, are committed to that next level. You’re a higher-level entrepreneur, a little more sophisticated, a little savvier than most folks, and that’s not a judgment on anybody else. It’s just that like attracts like and we definitely have amazing people in this community. We’re already committed to a level of excellence. When we hold ourselves to higher standards, what happens is, we start to walk the walk like a true leader, like a true professional. We’re not going to accept whatever comes our way. Sometimes you put forth maximum effort and you get maybe just a little bit of a result. Which means that even though he’s getting great results in his business, he’s going to take a moment to be grateful for what he’s got. He’s going to be happy about anything that comes his way because he’s coming from a place of joy in his business. But he’s not content, because the whole lesson he was illustrating was he didn’t want to allow success to make him lazy or complacent. I always thought that was such a cool line. I still use that as a personal mantra, something that’s inside my internal drive system. We’re talking about elevating your level of excellence by keeping high standards for yourself. I’m not talking about impossible standards. But remember the Jack Nicholson example? That’s why it’s so important for every single one of us as leaders and professionals to hold ourselves, each other and this industry to a higher standard. We’re going to meet them at where they’re at, but then we’re going to serve them by being that beacon of light that they can follow to the next level. That’s going to encourage them and they’re going to want to follow us to that level. Some won’t, but most will. And the ones that don’t, that’s okay. We’ll wish them well and hope the best for them. Now, the next part to this is very important. Something that is definitely evident in Jack Nicholson’s performance in A Few Good Men is a commitment to something bigger than yourself. When I flew in the United States Navy, I can tell you, it was awesome. That’s never what it was about for me, though. Obviously, serving the greatest country on the planet earth and I don’t mean that from a nationalistic or separatist way. I just mean I was born and raised here, so I was committed to that. To be able to serve with amazing men and women, to be able to serve a powerful and important mission. That was one of the biggest drivers that I had as a military officer and leader, and now as a business owner and as a business leader. In fact, now as the Director of Leadership Development, in what I suggest is the greatest company in the industry, that to me is amazing. To wake up every day knowing that I’m part of something bigger than myself, part of something bigger than my own results. And hopefully, you see that as well whether you’re building EMP or whether you’re building a network marketing business. It’s not just about our own time freedom. But it’s about doing something even bigger than the results. The results just happen to be an awesome byproduct of our commitment to something bigger. Man, it just gives me charged it up thinking about how cool it is that we have this responsibility. This awesome playground to show up to every single day. Where we’re making an impact in people’s lives, simply because we show up. We do that little extra effort every single day and we play the freaking game to win. And yeah, we do get the benefit. People pick up on that. And if it comes from a place of authenticity, you’re going to freaking build an amazing business. Not only will it be big and successful – it will be sustainable. It will be something you’ll be super proud of. It’s not about just playing for something bigger than yourself. When Jack Nicholson showed up to that thing 40 or 50 times and delivered at that high level every single time, he was committed to the execution each time. Not just going through the motions, but literally performing an Academy Award winning level performance every single time. He was holding himself to such a high standard and he was more passionate about the execution than he was the end result. Then we sort of detach ourselves from this desire to know that it’s going to pay off, this desire to have a return on investment. If we can get away from that, our performance is going to go right through the roof. And guess what else is going to happen? The people that we pull along with us, they’re going to be a higher caliber person too, because they’re going to be naturally attracted to that stuff. They may not at that time be performing at that level, but something internally is going to flip. It’s like a switch that’s going to go off inside their head. And you’re going to represent that example that they’re going to want to follow. Now, does that mean they’re just automatically going to roll out of bed and be hitting it hard and become top performers right away? Does it mean that you’re going to naturally be a top performer right out of the gate? But that’s not the point because we’re not committed to the result. We’re committed to the process! Listen, my friends – this is an amazing journey we’re on. This is a huge privilege we have to be able to build our own businesses, on our terms. We decide to get out here whether it’s seven days a week, five days a week or one day a week. Whether we show up to it for an hour or we show up to it for a 15-hour go, it’s our choice. That might be a secret recipe for success. It definitely helped people like Jack Nicholson do some amazing stuff and make an iconic presence in a movie. It’s something that you and I can duplicate in our business starting right here, right now, today! Now, as a final thought, if you’re in need of a concrete action plan and a system you can use to generate leads and prospects automatically, then I recommend you get access to our FREE Online Recruiting Bootcamp and discover how to build your business online. Using the principles of attraction marketing, you can attract people who are already interested in what you have to offer—instead of having to chase them down. We’ll help you discover who to talk to, show you how to talk to them, and what to say—using the language they know. You’ll discover the exact same system entrepreneurs just like you are using to passively generate dozens of prospects, leads and sales every single day, and see firsthand the process Ferny Ceballos, CMO of Elite Marketing Pro, uses to passively generate 300–500 leads per day, 30–50 customers per day, and onboard 70–100 new serious business builders each month – while drastically reducing rejection. It’s going to transform the way you do your business and set you on the path to a higher level of success.